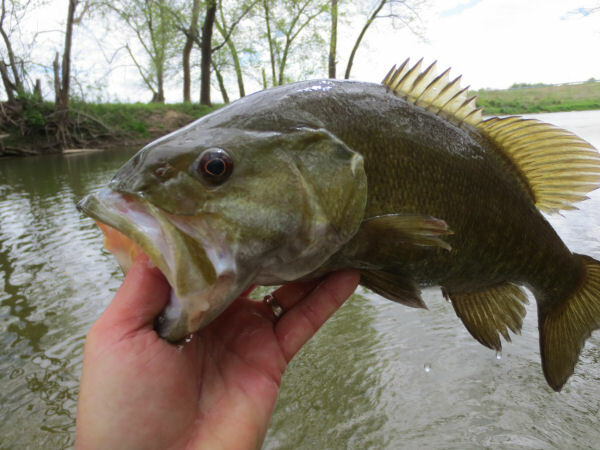 Spring of 2017 here in southern Indiana has been an early one and as a result the smallmouth are up and moving around in pursuit of food as they have a voracious appetite in preparation for their spring mission, the spawn. On this day we had experienced a weather change that had dropped the temps by 20 degrees or so and provided us with a stout 20 mph easterly wind (sorry for the noise in the microphone). As you can tell there is a chop on the water as well as a lack of sun; all this adds up to fish that are pretty aggressive and willing to ‘hunt’ near the surface for food. In this video you will watch as I land several nice smallmouth and one a bit over 20 inches that was the heaviest smallmouth I have ever landed. The fly in this video is a yellow version of the same fly I tied recently in my “Spring Fly Fishing for Smallies with a Fly Tying Bonus”. If you haven’t yet watched me tie this simple pattern…you will want to as it is not only easy to tie but quite productive. I am fishing the fly under a type 1 sink tip line on a 6 weight system and allowing the fly to flow and trundle downward into holes and parallel to the cover. I hope that you have someplace like this in your ‘neighborhood’ so that you can get out this spring and enjoy all the bounty that God has given and made available to us…as I have said before, this might not be Florida for bonefish…but it sure was an incredible way to spend a few hours on a Saturday afternoon. Hope you like the video. 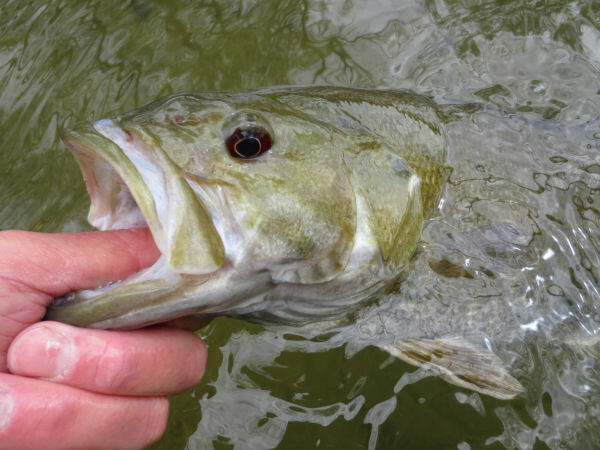 If you have any questions, drop me an e-mail at flyfishingwithjeff@gmail.com.